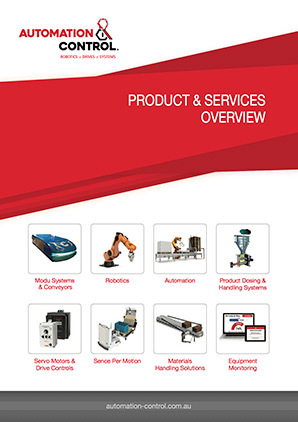 Automation & Control are a distributor for Automated Guided Vehicles (AGV's). 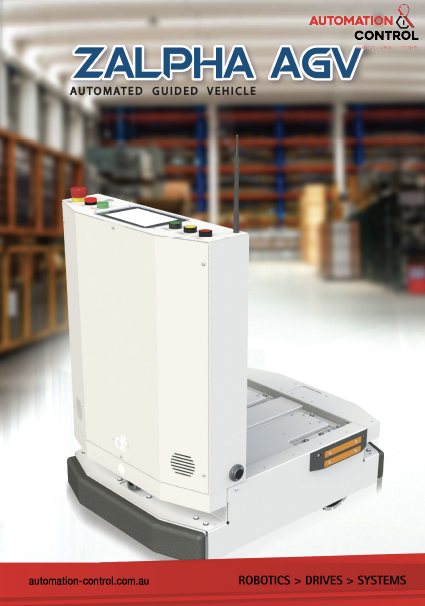 Automated Guided Vehicle (AGV) is a mobile robot that can automatically navigate and transport materials from location to another. Our AGV has a custom built powered roller conveyor inbuilt to pick and transfer pallet. Designed at 550mm (or any height) that match pallet conveyor height for direct smooth transfer between pallet conveyor to shrink wrap machine conveyor. Sensors between the AGV, pallet conveyor and shrink wrap conveyor ensure the pallets are consistently transferred without forklift or driver assistance creating ROI (Return of Investment within 1 year). Suitable for (but not limited to) manufacturing, textile, automotive, food & beverage, warehousing, hospital operations, etc. This modern AGV is equipped with the latest technologies with a modular design that is flexible and easy to maintain. Powered by NavWiz system, the usage and programming is easy and simple. Completed 100% accurately & efficiently, saving time & money.